Technology has transformed every area of our lives, from how we work to how we shop. Now it is set to transform healthcare. Life Sciences Minister George Freeman MP is leading this work at the Department of Health. He has visited one of the UK's leading technology companies, McLaren, to see how they are teaming up with the NHS to bring new and exciting innovations to patients thanks to additional government funding. 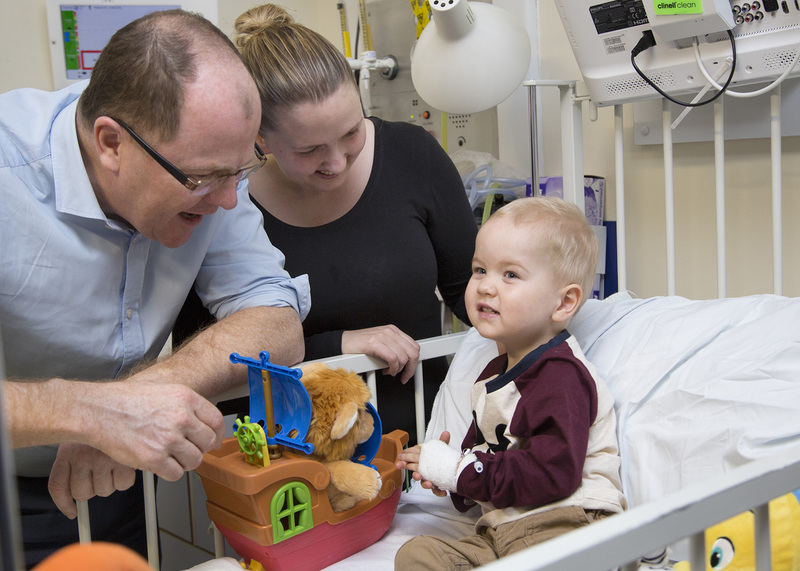 One example is at Birmingham Children’s Hospital which is taking part in a pioneering research study using real-time monitoring technology pioneered by McLaren, with the aim of saving thousands of young lives. The RAPID (Real-time Adaptive and Predictive Indicator of Deterioration) project is the first of its kind in the world. It uses wireless technology to continually monitor data from patients such as heart rate, breathing rate and oxygen levels. This new development means that vital early warning signs of the deterioration of any patient can be quickly acted upon. This revolutionary 3-year study is being jointly funded by a £1.8 million grant from the Department of Health and the Wellcome Trust through the Health Innovation Challenge Fund. Combining world class Formula 1 data analytics technology with the expertise of the NHS in diagnostics is vital if we are to provide patients with the most innovative 21st century diagnostic treatments, and maximise the efficiency and performance of the NHS. This is just one of many pieces of exciting research we are funding that will help to provide NHS patients with better and more effective care.